The paw print neck lanyards are pre-printed with great animal paw print themes. They are great for carrying your keys, IDs or name badges. A great variety of easy adjustable hardware attachments can be attached to paw print lanyard easily, like swivel hooks, key rings, badge straps, badge clips or universal cellular phone strings for cell phone, camera, MP3, USB, or small meters. 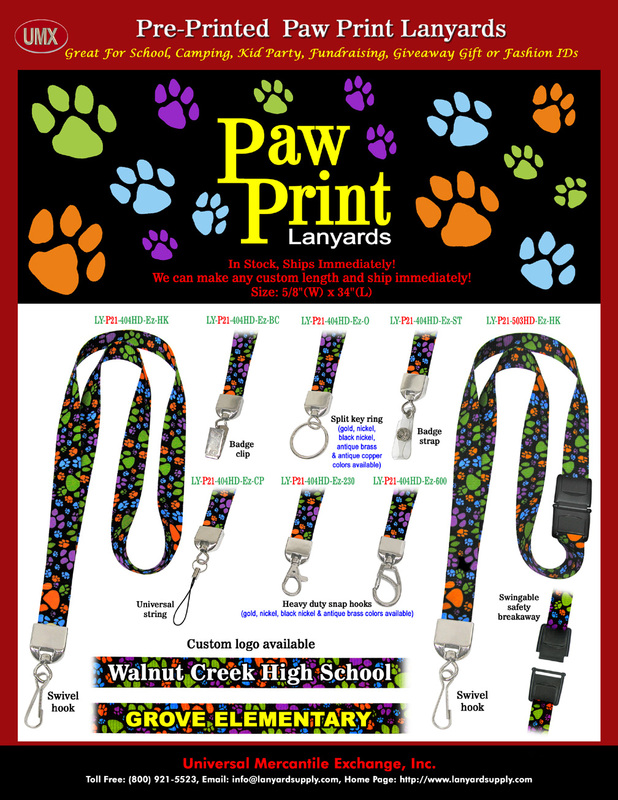 You are viewing Lanyards > Ez-Adjustable Plain and Pattern Printed Neck Wear > 5/8" Paw Print Neck Lanyards With Pre-Printed Animal Paw Print Themes.